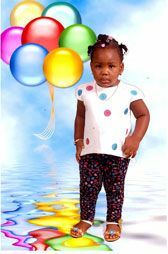 Belated birthday greetings going out to a special baby girl Alexia Williams of Belair who celebrated her 2nd birthday 16th March, from your sister Alexis, brother Alista and the rest of the family circle. Stay as sweet as you are. Lots of love.